Why are Roller Shutters in Craigieburn considered as the best security option? The main and most interesting benefits of roller shutters are that they will ensure the security of you as well as your home from the intruders. Modern Roller Shutters are pretty much harder to remove by the intruders because they are closely fitted with the door and window. Therefore burglars will not be able to pull away without a great deal of effort. It was the excellent physical deterrent part, apart from that Roller Shutters in Craigieburn region has brilliant visual deterrent too that will make the intruders disappointed. Once you shut your roller shutters, it is nearly impossible for someone to open or break the shutters from outside. These days’ significant populations cover their window and doors with blinds and curtains thinking that it will protect their home inside from the external heat coming into the home. But the real fact is that once the glass of widow becomes hot, it will reflect the heat into the room, blinds and curtains will fail to prevent the heat. But a genuine quality custom made Roller Shutters in Craigieburn region will block 70% of external heat that comes into the house from outside in hot days and block 60% of the heat that escaping out of the house from the room inside in winter season. It is true that the roller shutters heated up in hot summer days, but there is a gap between the shutter and the window and the air circulating within the gap space, so the negligible amount of heat might transfer from roller shutter to window glass. Therefore the glass will receive very less amount of heat and the house will not be able to become hot. It will save your energy bills too. Other significant benefits of Roller Shutters in Craigieburn region are its ability to protect your windows as well as doors from the unpredictable weather. If you are living in a place where hail and storm is a common factor, roller shutters will help you to protect your house. All you need to do is to close the shutter and feel secure because you know the shutters will deflect debris and branches that are harmful to your glass, even they can break them. Apart from that roller shutters won’t get rattled during the high winds. Roller Shutters in Craigieburn region can maintain the room inside temperature by blocking inside warm air to go outside at winter season. It will also block outside hot air to come inside during the hot summer to keep the room inside cool and comfortable. Today energy has become scarce, and the prices are soaring. Therefore energy saving has become one of the major concerns. From recent research, it has been found that 70% of heat and 46% air conditioning release from your home through your doors and windows. Roller shutters help at this point by preserving 60% of the heat that escapes outside at winter season and 70% heat that enters into the room through window and doors in hot summer. Therefore Roller Shutters in Craigieburn region acts as a perfect air con system. Since roller shutters are foam filled aluminium profile, so it will keep your windows and doors out from harsh weather patterns such as dust, high winds, cold and heat. By installing roller shutters, you will be able to protect your space form those harsh factors and will be able to save the power bills. If you are living in such a place where noise and sound population is a common factor, roller shutters will help you to get rid of those factors in addition to light control and privacy. Custom made Roller Shutters in Craigieburn region will reduce your stress level by keeping you out from the noise that comes from the busy main road, or form any pet in your neighbourhood or from the airport if your area is near the airport. Top quality roller shutters can reduce the noise level up to 50%. Genuine roller shutters will help you to take a huge amount of control over the amount of light that enters your room. If you wish to get completely blacken or darken in your room, you can get it by rolling down your Roller Shutters in Craigieburn region all the way, or if you want the floods of sunlight, you can get them by rolling up the shutters. You are also free to choose the open and close of shutters as per your requirement. It will also give you control over the airflow and allow fresh air to stream through the windows and doors of your house to come into the room. It will allow you to take complete control over privacy. Therefore it is highly recommended for those who are located in noisy surroundings such as an airport or main road. Customized Roller Shutters in Craigieburn region will give you a noise proof environment too and will ensure your peace of mind. The aluminium roller shutters will take more control over noise and will reduce up to 50% of noise. 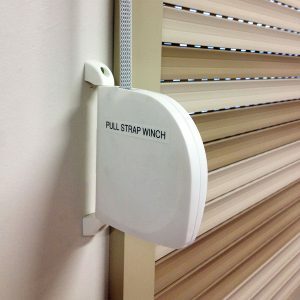 Why is Roller Shutters in Crossing area an important part? How to get spectacular Modern Roller Shutters at the small budget? How to use Plantation Shutters in Melbourne to get more benefits? Why are Outdoor blinds in Melbourne most people’s favorite choice?